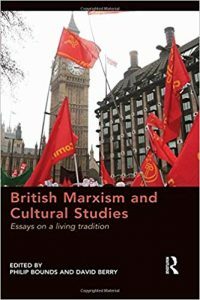 A comprehensive exploration of the profound influence of Marxist ideas on the development of Cultural Studies in Britain, this volume covers a century of Marxist writing, balancing synoptic accounts of the various schools of Marxist thought with detailed analyses of the most important writers. Arguing that a recognisably Marxist tradition of cultural analysis began in the last two decades of the nineteenth century and continues unbroken to the present day, British Marxism and Cultural Studies traces the links between contemporary developments in the field and the extended tradition of which they form a part. With discussion of figures such as Jack Lindsay, C.L.R. James, Julian Stallabrass and Mike Wayne, as well as the cultural thinking of the New Left, Gramscian, Althusserian and Political Economy schools, this book shows that the history of British cultural Marxism is broader and richer than many people realise. As such, it will be of interest to scholars and students of sociology, cultural studies, intellectual history and the history of the Left.